Picturehouse Entertainment said that its July 20 screening of “Monty Python Live (Mostly): One Down, Five to Go” will be the biggest Event Cinema broadcast yet seen in the UK. The final show, also known as “The Last of the Pythons” will screen live in 564 cinemas in the UK and 1800 around the world, Picturehouse said. UKTV Gold will broadcast the show here while Eagle Rock holds the rights for international broadcast. Produced by Fiz Oliver and directed by Aubrey Powell for Phil McIntyre Entertainments, the £4.5 million production will include a taped appearance by the Rolling Stones and a role for Stephen Hawking while David Walliams will be MC for the final night red carpet. 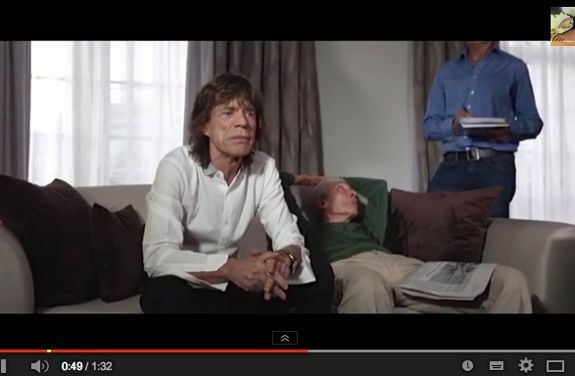 Mick Jagger recorded an ironic promotion for the show while Picturehouse also has a trailer. This entry was posted in News, Television, Theatre and tagged David Walliams, Eagle Entertainment, Eric Idle, Five to Go’, John Cleese, Michael Palin, Mick Jagger, O2 Arena, Phil McIntyre Entertainments, Picturehouse Entertainment, Stephen Hawking, Terry Gilliam, Terry Jones, The Rolling Stones, UKTV Gold, ‘Monty Python Live (Mostly): One Down. Bookmark the permalink.